A while ago, Ashley and I ran across a cookbook that features stories and recipes from so many of of our favorite restaurants–as well as our top “we-can’t-wait-to-go-there restaurants”–in Brooklyn. We’ve been meaning to buy a copy and use it as a road map to discover some new spots. 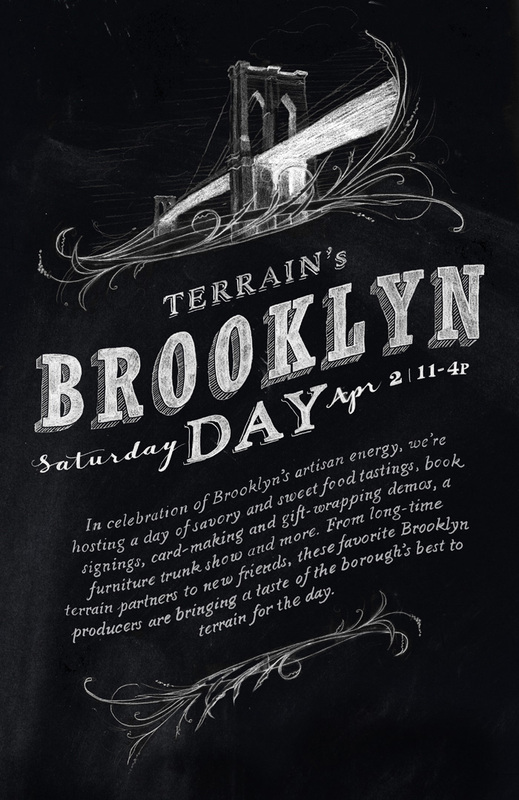 In fact, Joanna alerted us that this Saturday is Brooklyn Day at Terrain and many of the Brooklyn vendors featured in the book will be there. Terrain is in Glen Mills, PA; but if you’re in the area, the event sounds awesome! Thanks for all of the support for the new site! Ashley launched baby mine on Monday, and if you haven’t checked it out yet, you should definitely stop by. She and I are well into happily excessively documenting photos of the pregnancy and there’s a new one up now. I have to admit, I love feeling (and seeing!) the baby kick when we are home together at night. I hope you check out the shots! It’s been an exciting and busy week.